Here is your latest edition of Multicultural Marketing News, the newsletter published by Multicultural Marketing Resources Inc., www.multicultural.com. 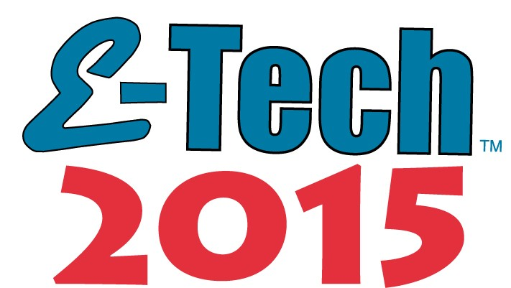 Ethnic Technologies will be exhibiting at the DMA Annual Event once again this year! Essential Facts About How U.S. Hispanics Get Their News- in an Infographic! Election 2016 is almost upon us and the Hispanic voting block is drawing lots of attention from pollsters and politicians alike. The growing Hispanic population, particularly in swing states, will ensure that both parties will have to woo Hispanics for years to come. Customers are more engaged than ever before. They listen, they participate, they expect and demand, and ultimately they react to important moves carried out by brands and companies; particularly when it comes to decisions that align with their views and beliefs. View the webinar presented by Jorge Martinez, C+R Research's Hispanic and multicultural expert. Jorge presented hot off the presses results of a LatinoEyes study looking at the impact of political and social issues on consumer attitudes and behaviors. Click here to view this free webinar. Join us for this day and a half symposium, a cornerstone of Diversity Week in the fall that has evolved into the industry's premier conference focusing on diversity and inclusion as a pillar of good business. The Annual NAMIC Conference features an agenda that explores programming, marketing, operations, technology, leadership development, and creating sustainable diversity change strategies. For more info about registration and sponsorship opportunities, contact Sandra Girado, Senior Director of Meetings and Events, at sandra.girado@namic.com or 212-594-5985. According to SHRM, only four percent of U.S. managers are considered high potentials, while the average for the DiversityInc Top 50 and Top 10 is 16 and 25 percent, respectively. Correspondingly, diversity of senior executives is higher in both the Top 50 and Top 10. We have selected executives from DiversityInc Top companies who have the highest accomplishments, like Novartis Pharmaceuticals Corporation, PricewaterhouseCoopers and Marriott International, to share their strategies and best practices on recruiting and retaining high potentials at our event, High Potentials and the War for Talent, which will take place on September 30th at Newark Airport Marriott in Newark, New Jersey (sponsored by: ADP, Cox Communications and EY.) Click here for the full agenda. MMRNews subscribers are eligible for a 50% discount; please use code HIPOMMR50 at checkout. The U.S. unemployment rate is 5.3% - the lowest in seven years, according to the Bureau of Labor Statistics. At the same time, U.S. labor-force participation has dropped to a 30-year low of 61.6%, and a global workforce shortage of 95 million people is projected by 2020. This translates to a massive shortage of talent, making recruitment of an increasingly diverse skilled workforce an urgent priority. DiversityInc Top 50 and Top 10 companies have significantly better track records in hiring Blacks, Latinos, Asians and women. How do they do it? We have selected executives from companies with the best recruitment data to share their best practices at our event, Best Practices on Diversity Recruiting Event on Oct. 1 at Newark Airport Marriott in Newark, New Jersey, sponsored by: Sodexo, AT&T, Comcast NBCUniversal, MasterCard and Travelers Click here for the full agenda. Register now. MMRNews subscribers can receive a 50% discount; please use code RECMMR50 at checkout. Culturally competent healthcare equals cost-effective healthcare and better patient outcomes. Several technology-oriented DiversityInc Top 50 and 25 Noteworthy companies have had proven success and have significantly better track records in managing diversity, especially for senior management, than other companies in the field. From working with the most competitive hospitals and healthcare companies, we know there are transferable lessons to be learned. We have selected executives from organizations with the best promotion and retention data to share their best practices at our event, Culturally Competent Healthcare, which will take place on Oct. 1 at Newark Airport Marriott in Newark, New Jersey - sponsored by: Novartis Pharmaceuticals Corporation, Cleveland Clinic, AbbVie, Baxter International, CVS Health, Kaiser Permanente and Mount Sinai Health System Click here for the full agenda. MMR News subscribers are eligible for 50% discount off registration; please use codeHLTHMMR50 at checkout. The 4th annual edition of The Multicultural Health National: Marketing to a Diverse America (MCHNational) will be held in Florida at The Westin Fort Lauderdale Beach, October 12-13, 2015. This unique event is the premier and only multicultural conference for professionals focusing on the healthcare industry and a must attend event for pharma executives, ad agencies, insurers, hospitals and media companies. The format includes both case studies of successful examples of healthcare marketing and separate modules for each key multicultural population segment in America including African Americans, Hispanics, Asian Americans and LGBT consumers. New this year: the Native American community will be included as a segment. Great networking opportunities are always a highlight including two evenings of awards receptions celebrating recipients of the Best in Multicultural Health Marketing Awards and the client-side executives selected for the Outstanding Multicultural Marketers Awards. The Multicultural Health Marketing Awards recognize the best creative advertising of a health product or service marketing health information to a multicultural market segment. The Outstanding Multicultural Marketers Awards are to extraordinary health marketers who drive innovation and work towards better patient health outcomes among the key multicultural populations in America. Register by September 15th to save $200 off the regular registration price. For more information contact Scott Ehrlich, VP, DTC Perspectives at scott@dtcperspectives.com or 770-559-0702 or visit www.mchnational.com to see sponsorship opportunities and conference agenda. As Hispanic audiences keep growing, so has the importance of the Hispanic Television Summit grown for those in the TV business. In the U.S. alone, the world's second most populous Hispanic nation, this audience comprises about 1 in 5 viewers. And, as Hispanics continue to assimilate, general market programmers and advertisers are finding the need to compete for these viewers. The 13th Annual Hispanic TV Summit is a one-of-a-kind, one-day business conference that addresses these shifting priorities within the expanding business of Hispanic television in the U.S., Latin America and worldwide. The summit features speakers and panelists who are leading executives in linear and online television, sports, digital production, marketing and advertising from both the Hispanic and the general markets. Register by September 18th to save $100 off the regular registration price. For more information contact Navi Ramnarain at navi@schrammnyc.com or 212-983-0219 or visit www.hispanictvsummit.com to see sponsorship opportunities and conference agenda. The Association of National Advertisers provides the ultimate channels for showcasing outstanding Multicultural Marketing and Diversity content, through the ANA Multicultural Excellence Awards program and conference. To learn more or submit an entry to the awards program, please visit our awards website. 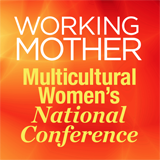 The 17th Annual Multicultural Marketing and Diversity Conference will feature a phenomenal lineup of speakers including Allstate, Denny's, Kaiser Permanente, Moet Hennessy USA, Marriott International and Western Union. Register now and join us in Miami Beach on November 8 - 10, to discuss a strong mix of topics with other client side marketers. Explore issues in multicultural marketing, learn practical ideas to improve marketing campaigns and spend quality time networking with your peers, all under one roof. For more information, please contact Mala White, Senior Manager, Committees and Conferences, 212-455-8084. If you are interested in including your company profile/news in our next issue of Multicultural Marketing News/MMRNews ($425), please visit: http://multicultural.com/services/mmr_news or contact Lisa Skriloff at 212-242-3351 or Lisa@multicultural.com. Multicultural Marketing Resources, Inc. (MMR). For a free subscription, sign up here. Consumer Empathy is not new, but is certainly a hot topic in the marketing and insights community. Understanding your consumers' attitudes and needs, desires, fears and limitations, and how they view and feel about your brand is the essential first step towards creating a powerful brand-product-consumer connection. But to make that connection a meaningful and lasting one, "understanding" alone is insufficient: marketers have to walk a mile in the consumers' shoes! 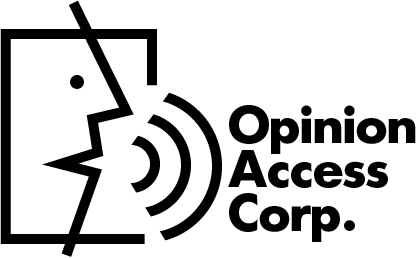 For over 20 years, LatinoEyes® has been helping companies connect with Hispanic and Multicultural consumers to build empathy between them and their brands; in fact, just about every research project we work on revolves around consumer empathy. Through our Cultural Immersion programs, we combine well-established traditional and non-traditional research approaches with in-the-trenches activities and cultural education workshops to give marketers real world experiences. Ethnographies, Arts & Culture Tours, Neighborhood Walk-and-Talks, Marketplace Visits, Consumer Roundtables and In-depth interviews with Community Leaders are some of the ingredients that LatinoEyes® leverages to create a customized Cultural Immersion for our clients. Whether you have years of experience or are just getting started on your journey towards developing empathy for the Hispanic consumer segment, we invite you to read through our "Latinos At A Glance" booklet to strengthen your knowledge and intuitive connection with the Latino consumer. And, to learn more about our Cultural Immersion programs or our multicultural research, contact Jorge Martinez, Research Director at jorgem@crresearch.com or 312-828-9200. 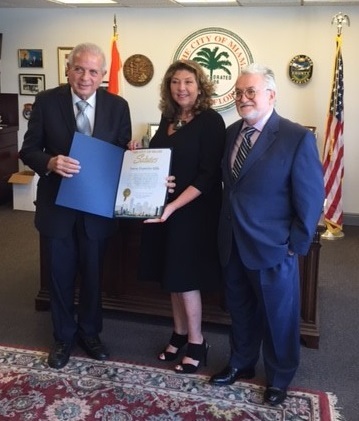 On July 9, 2015 The Mayor of the City of Miami, Tomás Regalado, honored Daisy Expósito-Ulla, Chairman/CEO of d expósito & Partners with a "City Diploma" during a presentation at City Hall, in recognition of her accomplishments and, at the same time, celebrating the presence and growth of Hispanic advertising in the United States.The recognition, read by Mayor Regalado, emphasizes that the recipient is "an American born in Cuba, amply respected as a professional communicator." It also recognizes "her contributions to American advertising." The City of Miami diploma salutes Expósito-Ulla "for her contributions to some of America's greatest brands." This special honor, closely follows another recent distinction, the AEF Agency of the Year award, which was given to d expósito & Partners by the Advertising Educational Foundation. "Miami is my second home," said Expósito-Ulla "and a place where many Hispanic agencies, dear colleagues and industry flagship companies are headquartered, which makes this moment very rewarding." 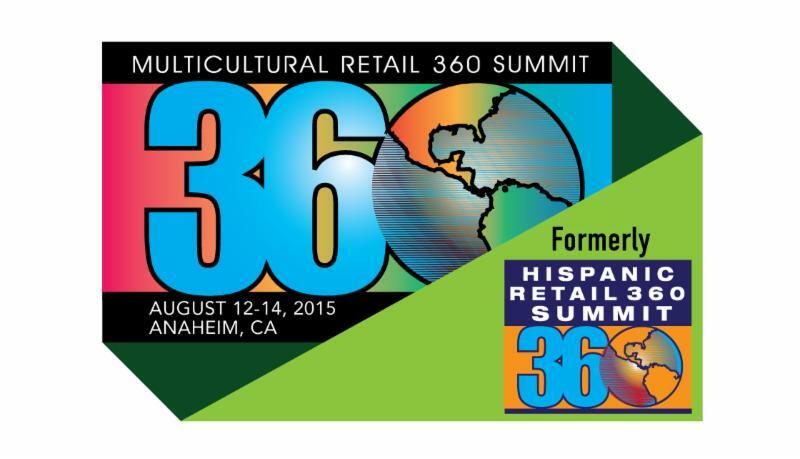 The Hispanic Retail 360 Summit is now the Multicultural Retail 360 Summit! The premier multicultural marketing event for the retail industry takes place August 12-14 in Anaheim. Our agenda is packed with cutting-edge sessions from companies like the NFL, Walgreens, Walmart and many more that will provide insights and examples of best practices for merchandising and marketing for Hispanic retailing and growing multicultural consumer segments. Focused sessions on Hispanic, African-American and Asian-American consumer segments will help you build your strategy and increase sales in 2016. The summit is fast approaching - register today at http://www.multiculturalretail360.com/summit/register/. Contact info: Michael Hatherill, Group Brand Director, Multicultural Retail 360, mhatherill@stagnitomail.com, 201-855-7610. The 4th annual edition of The Multicultural Health National: Marketing to a Diverse America (MCHNational) will be held in Florida at The Westin Fort Lauderdale Beach, October 12-13, 2015. This unique event is the premier and only multicultural conference for professionals focusing on the healthcare industry and a must attend event for pharma executives, ad agencies, insurers, hospitals and media companies. The format includes both case studies of successful examples of healthcare marketing and separate modules for each key multicultural population segment in America including African Americans, Hispanics, Asian Americans and LGBT consumers. New this year: the Native American community will be included as a segment. Great networking opportunities are always a highlight including two evenings of awards receptions celebrating recipients of the Best in Multicultural Health Marketing Awards and the client-side executives selected for the Outstanding Multicultural Marketers Awards. The Multicultural Health Marketing Awards recognize the best creative advertising of a health product or service marketing health information to a multicultural market segment. The Outstanding Multicultural Marketers Awards are to extraordinary health marketers who drive innovation and work towards better patient health outcomes among the key multicultural populations in America. Register early to save $200 off the regular registration price. For more information contact Scott Ehrlich, VP, DTC Perspectives at scott@dtcperspectives.com or 770-559-0702 or visit www.mchnational.com. Researchers at Rutgers Business School, Newark and New Brunswick, New Jersey are in search of U.S.-based, Client-Side Multicultural Marketers to participate in an academic online survey about ethnic and diverse marketing. You are eligible to participate if you are presently employed full-time as a corporate or nonprofit marketer with direct, day-to-day responsibility marketing to any one or combination of the following diverse segments; African-Americans, Asian Americans, Hispanics, LGBTQ, Native Americans and other racial, ethnic and diverse groups in the United States. TO PARTICIPATE: If you wish to participate or desire further information, please contact, Jean-Paul James (email: j.p.james@rutgers.edu or cell: 201-683-1472). When contacting Jean-Paul, please provide him with a preferred email address where to send the survey link to participate. Participants completing the survey before 11:59PM, Friday, August 21, 2015 will be entered to win a $300 e-card redeemable at the Apple Store. Low cost carrier Volaris, serving more destinations in Mexico than any other airline, inaugurates service from JFK on July 15th as it continues to serve its core audience, the Hispanic Market. Miguel Aguiñiga Rodríguez, Senior Manager Mex-US/Sales & Marketing for Volaris, in an interview with Multicultural Travel News, said that the "visiting family and relatives" market (VFR) is their key market. For that reason, since the airline was launched 9 years ago, he noted, they have been doing research to identify the largest Mexican-American population areas to establish routes to serve the VFR market. Guadalajara is a principal destination because of the opportunity it presents to this market as drive time from Guadalajara is only 2 to 6 hours to most key cities such as Zacatecas, Aguascalientes and Morelia, among others, destinations that are key for the Mexican ex-patriots living in the US. The airline also targets second and third generation Mexican-Americans to encourage them to visit and learn about their culture and food.The Volaris outreach to the Hispanic population is aligned with the Mexican Tourism board's campaign with the theme "Mis Raices" targeting the Hispanic Market which will launch this August. The current "Live it to Believe it" campaign highlights the culture and food of Mexico and promotes a "Wine & Tequila Route" and "Mole Route." The "Thousand Flavors of Mole" route encourages travelers to visit the regions of Mexico City, Tlaxcala, Oaxaca and Puebla where the famous "mole poblano" originates. The tequila route includes the city of Guadalajara, the capital of Mariachi music, itself declared as UNESCO Intangible Cultural Heritage of Humanity. 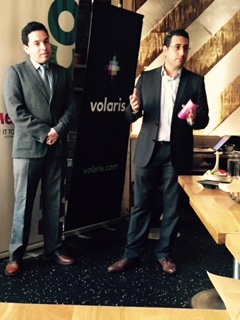 Volaris marketing outreach includes alliances with the various regional Mexican Federations around the US, as a key way to reach their main target -- Mexicans in the US with ties to family in Mexico. Knowing that Hispanics overindex in social media usage, Volaris is also focused on utilizing Facebook where they currently have over 1,300,00 likes and Twitter with over a million followers. And in other milestone news, earlier this month Volaris announced it transported its 50 Millionth customer. The month of June is dedicated to acknowledging and celebrating the contributions of the LGBT community. With an overall buying power of $830 billion, marketers are eager to take advantage of the various opportunities to connect. However, some marketers have failed to realize that just like with all multicultural communities, one size does not fit all. The LGBT community is just as diverse and those who belong to various ethnic communities, seniors and baby boomers, as well as LGBTs with disabilities, want to be represented in advertising. Countless studies have confirmed that the LGBT community is very brand loyal and look favorably upon companies who have strong inclusion and pro-LGBT policies and practices. These values are also in line with ethnic communities who are also brand loyal and will happily spend money with companies who they think 'get them'. Therefore, brands must move beyond the cookie cutter approach and acknowledge all who represent diversity. 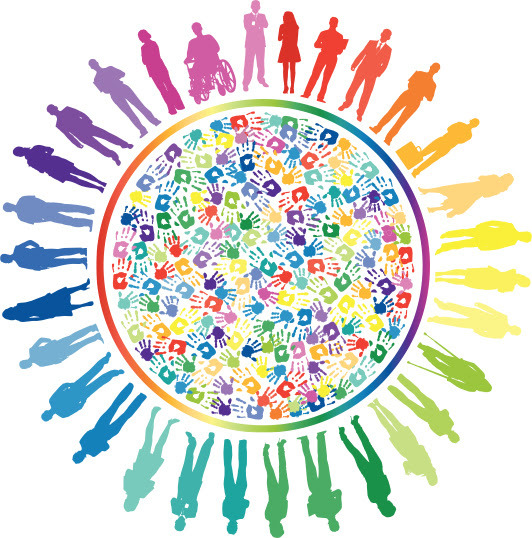 E-Tech predicts ethnicity, religion, language preference, and gender based on extensive name and geographic research. Contact Ethnic Technologies to better know your customers and better provide for their needs. For more information, contact Yartish Bullock, Sr. Account Executive, Ethnic Technologies, 866-333-8324 ext. 116 or Ybullock@ethnictechnologies.com. Visit www.ethnictechnologies.com. 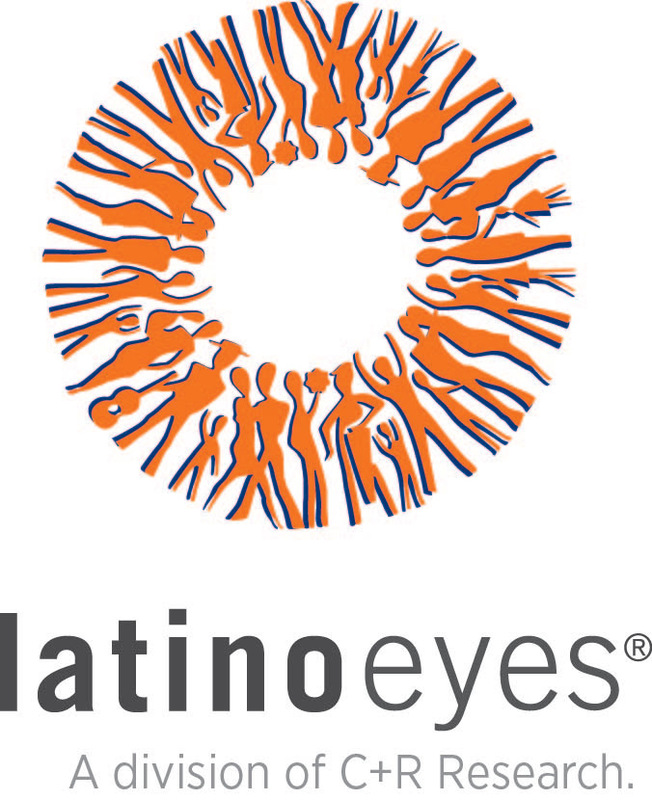 LatinoEyes® is the research consultancy division of C+R Research that specializes in the U.S. Hispanic, Latin American markets and multicultural consumers. The LatinoEyes® team is made up of experienced researchers who have a deep understanding of both U.S. and Latino cultures and advanced quantitative and qualitative skills. They offer cutting-edge technologies, as well as the best methods for researching and gaining insights into the U.S. Hispanic market and multicultural groups. This intellectual expertise, coupled with C+R's logistical capabilities, has made LatinoEyes® a leader in Hispanic marketing and research. C+R is an established, innovative marketing insights firm that leverages the best of emerging and traditional quantitative and qualitative research methods to provide custom solutions tailored to the unique business needs of our clients. We invite you to read through our "Latinos At A Glance" booklet to strengthen your knowledge and intuitive connection with the Latino consumer. And, to learn more about our multicultural research, contact Jorge Martinez, Research Director at jorgem@crresearch.com or 312.828.9200. The Hispanic Retail 360 Summit is now the Multicultural Retail 360 Summit! The premier multicultural marketing event for the retail industry takes place August 12-14 in Anaheim. Our agenda is packed with cutting-edge sessions from companies like the NFL, Walgreens, Walmart and many more that will provide insights and examples of best practices for merchandising and marketing for Hispanic retailing and growing multicultural consumer segments. Focused sessions on Hispanic, African-American and Asian-American consumer segments will help you build your strategy and increase sales in 2016. Join us for a free webinar leading up to the event on June 23, 2015 for more information on America's Multicultural Explosion. To sign-up for this webcast, click here. The summit is fast approaching - register today at http://www.multiculturalretail360.com/summit/register/. Save up to $600 when you register by July 3. Contact info: Michael Hatherill, Group Brand Director, Multicultural Retail 360, mhatherill@stagnitomail.com, 201-855-7610. According to the latest U.S. Census data, Asian Indians are the first ethnic group in America to cross the $100,000 threshold for National Median Household Income. The 4th annual edition of The Multicultural Health National: Marketing to a Diverse America (MCHNational) will be held in Florida at The Westin Fort Lauderdale Beach next October 12-14, 2015. This unique event is the premier and only multicultural conference for professionals focusing on the healthcare industry and a must attend event for pharma executives, ad agencies, insurers, hospitals and media companies. The format includes both case studies of successful examples of healthcare marketing and separate modules for each key multicultural population segment in America including African Americans, Hispanics, Asian Americans and LGBT consumers. New this year: the Native American community will be included as a segment. Great networking opportunities are always a highlight including two evenings of awards receptions celebrating recipients of the Best in Multicultural Health Marketing Awards and the client-side executives selected for the Outstanding Multicultural Marketers Awards. The Multicultural Health Marketing Awards recognize the best creative advertising of a health product or service marketing health information to a multicultural market segment. The Outstanding Multicultural Marketers Awards are to extraordinary health marketers who drive innovation and work towards better patient health outcomes among the key multicultural populations in America For more information contact Scott Ehrlich, VP, DTC Perspectives at scott@dtcperspectives.com or 770-559-0702 or visit www.mchnational.com. 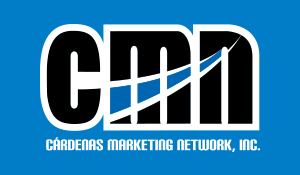 Headquartered in Chicago, Illinois, Cárdenas Marketing Network, Inc. (CMN) is one of the leading Multicultural experiential marketing agencies and the largest producer of Latin music shows in the U.S. With over 2,800 activations each year since 2002, CMN has been connecting brands with consumers through shared passion points of music, sports, and cultural pride, offering full integration with digital marketing and advertising for all projects and activations. CMN works with a variety of industries, global organizations and emerging businesses, helping them grow and guiding them to become culturally relevant with the Hispanic consumer. In 2015, CMN was named one of Advertising Age's, "Largest U.S. Hispanic Agencies," Crain's "Chicago's Largest Minority - Owned Firms," and has been awarded "Best Event/Consumer Engagement Campaign of the year" by Billboard Latin Music Marketing Awards. CMN is real ROI. We pride ourselves on our expert knowledge of the multicultural markets, because we are part of them too. Contact Elena Sotomayor, Elena@cmnevents.com. Always on the look out for innovative ideas that make a difference, Walton Isaacson is proud of our award-winning work for The Water Project Foundation. This engaging interactive experience has been recognized at several international Award Festivals, including the New York Festival, El Sol in Spain, Wave in Brazil and others. Here is the link to the video that has over one million views and counting. The Face of America is Changing .. Are You Ready? Rx Promotion within the Asian American Market - Best ROI Ever! Founded in 1990, SinoVision is the most influential Chinese television network based in the metropolitan New York area. The network features two Chinese channels and one English channel with approximately 1 million viewers and unique online visitors per day. Content is shared across all major social media platforms, and simulcasted on SinoVision.net as well as SinoVision mobile apps. SinoVision proudly offers 12 segments of news programs every day, high-profile features, entertainment variety shows, and North American dramas. The company's headquarter is located in Midtown Manhattan with branches spread across the rest of New York, Washington D.C., Chicago, Boston, Los Angeles, San Francisco, and Houston. In an effort to promote the exposure and understanding of Chinese arts and culture across the United States, SinoVision English Channel was launched in July 2012. Together with SinoVisionNet, the United States' leading Chinese news portal, average monthly unique site visits total well over 1.5 million visitors with over 12 million impressions. In addition, SinoVision's mobile apps have accounted for over 250,000 downloads since their launch in 2013. For more information about SinoVision, please contact Janis Lam at janis.lam@sinovision.net or via phone at (212) 213-6688 ext. 33. We eagerly awaited the announcement of Her Royal Highness Princess Charlotte Elizabeth Diana of Cambridge. We placed bets and voted in polls. As a society, we find meaning in names. While not every parent undergoes the global scrutiny that befell the Duke and Duchess of Cambridge, every parent consciously chooses a name. Some prefer a name from a long-standing family tradition; others prefer the name of a favorite singer. Effective marketers know their customers, and one window in, is through our names. karens@ethnictechnologies.com, 866-333-8324 ext. 117, www.ethnictechnologies.com. From the builders of some of America's earliest railroads and farms to Civil Rights pioneers and digital technology entrepreneurs, Indian Americans have long been an inextricable part of American life. The Smithsonian traveling exhibition "Beyond Bollywood: Indian Americans Shape the Nation" details the history of Indian Americans and their contributions to the United States from the 1700s to the present. The first-of-its-kind exhibition from the Smithsonian is now on view at the Morris Museum through July 12, 2015. 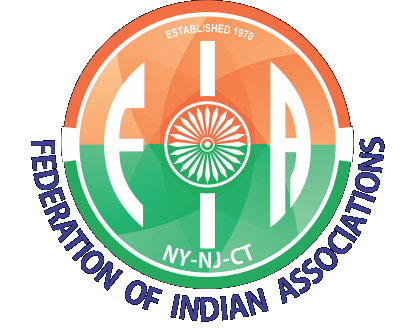 The Morristown presentation of "Beyond Bollywood" will be complimented by an installation featuring twentieth century paintings by Indian American artists, a display showcasing Indian textiles and costumes, and a variety of programs and events. In conjunction with "Beyond Bollywood," the Morris Museum programs include: Beyond Bollywood Family Festival, Indian Magic Art Show and Mandala Making, May 14, 2:00-3:30pm. Creating mandalas, a meditative process that has been practiced by Buddhist monks for centuries using colored glass sand, has become a mainstay in the Western world thanks to psychiatrist/ psychologist Carl J. Jung. The mandala can be used today as a method of reducing stress, decreasing anxiety, and an opportunity for self-reflection, as the inner circle represents each individual's personal universe. For more information, call (973) 971-3700, or visit www.morrismuseum.org. On June 10th, The Ailey Spirit Gala honoring the Ford Foundation, and sponsored by FedEx, launches Alvin Ailey American Dance Theater's two-week engagement at Lincoln Center's David H. Koch Theater. The gala benefits Ailey School scholarships and Arts In Education Programs. The 7pm performance involving Honorary Chair Tyson Beckford, features the present and future stars of Ailey (talented AileyCampers, gifted students from The Ailey School, Ailey II's rising stars, and Alvin Ailey American Dance Theater). After an inspiring finale of Revelations, the music of DJ M.O.S will rock the promenade soirée. Gala Co-Chairs: Gina F. Adams, Ricki Lander, Almaz & Marc S. Strachan, and Daria L. & Eric J. Wallach. Gala Vice Chairs: Michele & Timothy Barakett, Dr. N. Anthony & Robyn Coles, Leslie & Tom Maheras, and Pamela D. Zilly & John H. Schaefer. For benefit tickets starting at $500call 212-405-9031. Visit alvinailey.org for season performance tickets starting at $25. Wine and spirits for The Ailey Spirit Gala are generously provided by Diageo. The best event just got better - the 2015 summit will include valuable information on Hispanic retailing as well as a focus on other growing multicultural consumer segments in the U.S. market. Given the movement to the total market approach the Multicultural Retail 360 Summit will continue to help retailers maximize their business within the growing Hispanic market and other cultural consumer segments including African-Americans, Asian-Americans and biculturals. The summit will provide insights and examples of best practices for merchandising and marketing to these emerging consumer groups. This year's agenda has an exciting range of sessions including a keynote from the National Football League and a cultural immersion store tour that includes four different retailers: Curacao, Super King, Superior and Tawa 99 Ranch. 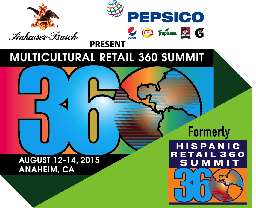 Register today at http://www.multiculturalretail360.com/registration.html to join us August 12-14 in Anaheim, CA for our 2015 summit. Contact info: Michael Hatherill, Group Brand Director, Multicultural Retail 360, mhatherill@stagnitomail.com, 201-855-7610. At the helm of the 30 year old Philippine Daily Inquirer are two women of vision, Marixi Rufino Prieto, Chairman, and her daughter, Alexandra Rufino Romualdez. Established during a difficult time in Philippine history, the paper has progressed to be the leading broadsheet in the country, receiving accolades and awards from local and international media organizations. Its online version, INQUIRER.net, now on its 17th year, is a pioneer in desktop publishing. It, too, follows the steps of integrity and quality journalism established by its mother company. 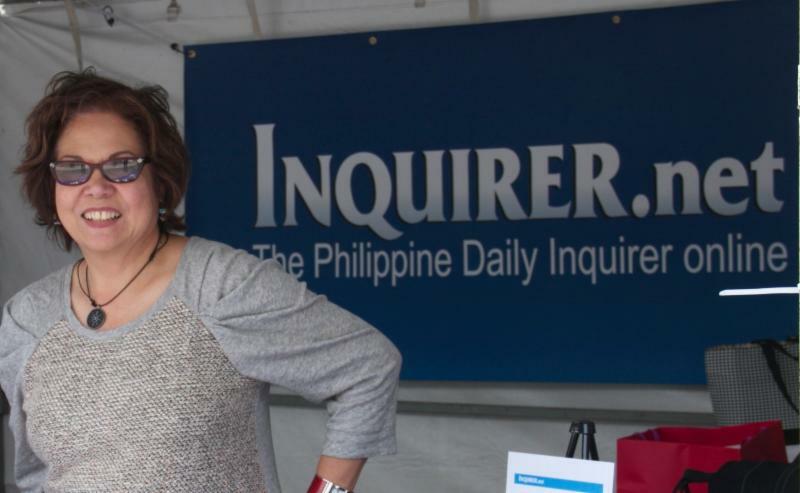 INQUIRER.net has been represented in the United States since 2002 by its pioneering Regional Director and Vice President for Sales and Marketing, Esther Misa Chavez. Today, Inquirer.net averages in the US 7-million pageviews a month from a million unique visitors. Globally, INQUIRER.net is the top news website with the largest Filipino online audience. Visit the website at www.INQUIRER.net. For more information, email esther.chavez@inquirerinc.net. 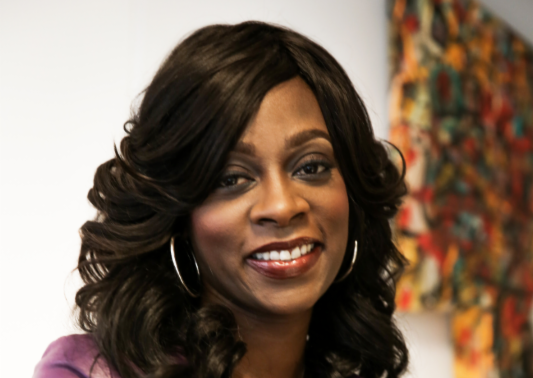 Monique Nelson, Chair and CEO of UniWorld Group, Inc., the longest-standing, full-service, multicultural marketing agency in the US., is a passionate advocate for her brand and its mission to meet the needs of clients and consumers across the country. 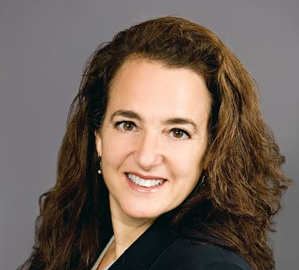 Here is some advice from her on how women can gain more access to the C-suite. I think women get a little scared about "leaning in," so to speak. "Lean in" in a way that works for you - it's about being authentically you and knowing where you're going to be successful. Say what you mean, go in with a professional understanding of what you're looking for, be thoughtful about how you present yourself and your ideas, and then just go for it. Her advice for tomorrow's leaders. Have a vision. Writing down what you want makes things a lot clearer. I know that once I write my goals down, they become very real, and I become much more accountable to them. Always look for the win-win. Win-loss rarely lasts long, and I treat everything like it's a marathon, not a sprint. Contact Teresa Lyles Holmes, Teresa.Holmes@uwgny.com. 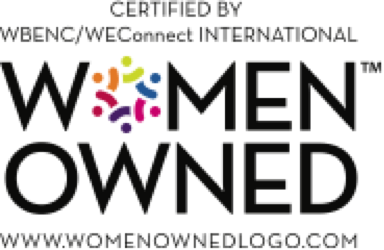 Founded 21 years by Lisa Skriloff, Multicultural Marketing Resources, Inc. (MMR) is proud to now be certified as a Woman-Owned Business by the nationally recognized certifying agency, The Women's Business Enterprise National Council (WBENC). Multicultural Marketing Resources, Inc. is a consulting firm, marketing/PR firm and publisher of this newsletter, Multicultural Marketing News and The Source Book of Multicultural Experts. At multicultural.com visitors can Find a Multicultural Marketing and Diversity Expert at the online Experts directory, sign up for a free subscription to MMRNews (Multicultural Marketing News), find a recommended book at our online Multicultural Marketing Resources Library and Find a Speaker from our Multicultural Speakers Showcase, among other resources. To learn more about Multicultural Marketing Resources, Inc., please visit www.multicultural.com. Contact Lisa Skriloff, President, lisa@multicultural.com, 212-242-3351.